Why every business owner should consider the Google Cloud Platform for predictive analysis. Just imagine that you are the owner of a shop, a new model of your product has just been released and the demand is high. After a few days you’re out of stock and you have to decline a potential customers, while waiting for the next delivery. This results in a lot of disappointed customers who probably will choose a different shop next time. A missed opportunity! This problem is becoming more and more familiar for retailers. There is a solution which helps you predict your demands better and which helps you to be able to almost always meet customer demands. Internet companies are gaining customers because they nearly always have the products in stock in one central location whilst retailers have multiple storage rooms to feed. With predictive analytic tools you know when and where to expect demand, so you can keep your customer happy, or where you have to increase marketing to sell off your stock in certain stores. The situation described in the first paragraph is happening to many retailers. Think about supermarkets, drugstores, phone shops, and so on. For it happens all too often that retailers like these are out of stock.It is a pity, because the solution is already there with the help of Google Cloud Platform. The use of internal and external data is key for predicting and influencing your customers’ needs. With several e-commerce platforms, e.g. Shopify or Magento, you’re able to track your customers and their behavior on your website. Next to referral sources, transaction logs and bounce rate, you can see exactly where they spent most of their time, what product is most popular, what the conversion rate is, and so on. This information is referred to as internal generated data. To fully utilize your internal data and get a clear picture of your customers, the best thing you can do is combining your internal data with third party data, including social, financial and user preferences. Proper use of these sources can be helpful to understand the individual value of your customers. This is where the Google Cloud Platform comes in. Wouldn’t you rather focus on discovering insights from your data than developing the infrastructure around it? The Google Cloud Platform offers various services focused on helping you with combining your internal and external data into one central place, organizing this data and ultimately, growing your business. 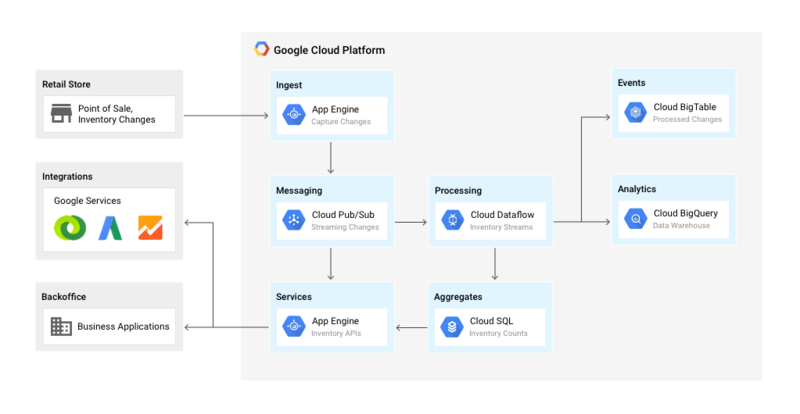 Google Cloud Dataflow is a great example of a tool that makes data useful and transforms it into readable insights. It slices and modifies data in such a way that it is more readable to analysts, so that they can spend their time on drawing conclusions, instead of structuring lots of data. Or Google BigQuery; a fully managed data warehouse that removes hassles and runs queries incredibly fast. After putting your data into BigQuery. You can get insights in for instance the most popular days and times your customers are purchasing, the most popular products in your webshop and on which devices customers are visiting your website or store. But when it comes to data, it is not just about processing and structuring it; it’s also about safeguarding the privacy of your consumers. Google Cloud offers a secure and scalable storage service - Google Cloud Storage - which is durable and consistent with all other cloud services. Just like all Google Cloud solutions, security is given the highest priority. As you can see, there are numerous options with the Google Cloud Platform. Let Google Cloud do the hard work, so that you can focus on your business needs. For a full overview of all the solutions possible to let your company grow; read more here. 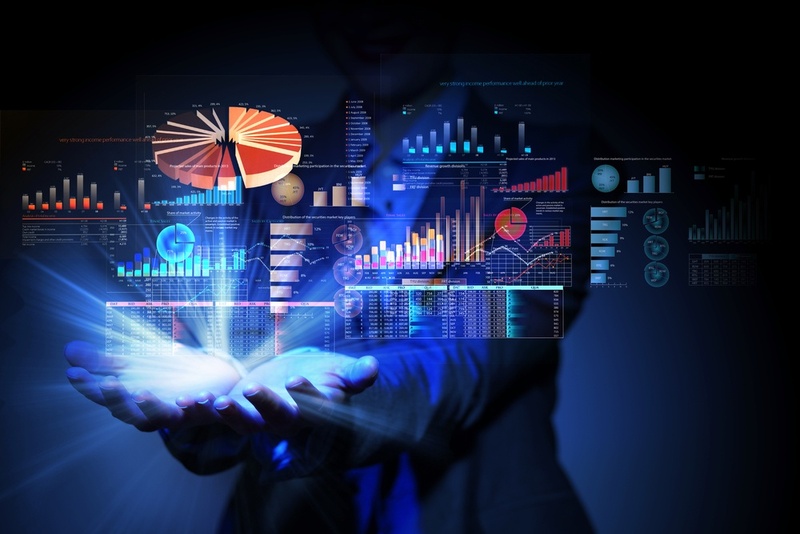 But why is utilizing data and gaining insights so important? Well, as described before, knowing your customers’ behavior, their wishes and their needs, allows you to send out customized email campaigns at the right time, offer them products at the right moment for the best conversion rate, and so forth. Naturally, GCP is fully integrated with G Suite, which enables you to share the information with the right people in just a few clicks. Interested in discovering everything the cloud can bring to your company? Do not hesitate and get a free discovery with GoPomelo!